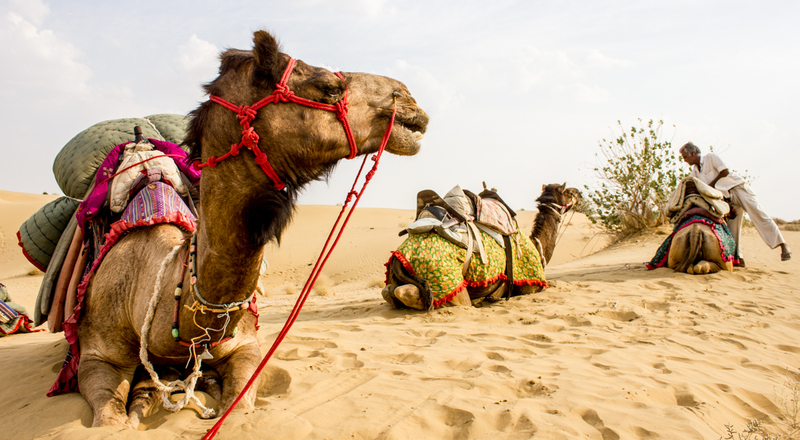 We went on a 3 day camel safari in the Thar Desert in Rajasthan from Jaisalmer and had the best 3 days of our year. It was incredibly tranquil, relaxing, peaceful and beautiful. If you’ve spent 3 months in India, you’ll get it. Our camels, Papu, Lalu and Kalu had entertaining personalities and our guide, Nongarem was an absolute sweetheart. Being in the absolute middle of nowhere, disconnected, and happily lost was exactly what we wanted. Considering that the border of Pakistan was a light trot away, everything we needed for our multi-day journey was packed on our camels. We stopped at a water well on day 2 to let our camels drink and to refill our bottles for drinking and cooking. Nongarem let us help prepare lunch and dinner and he was happy to share his delicious recipes with us. 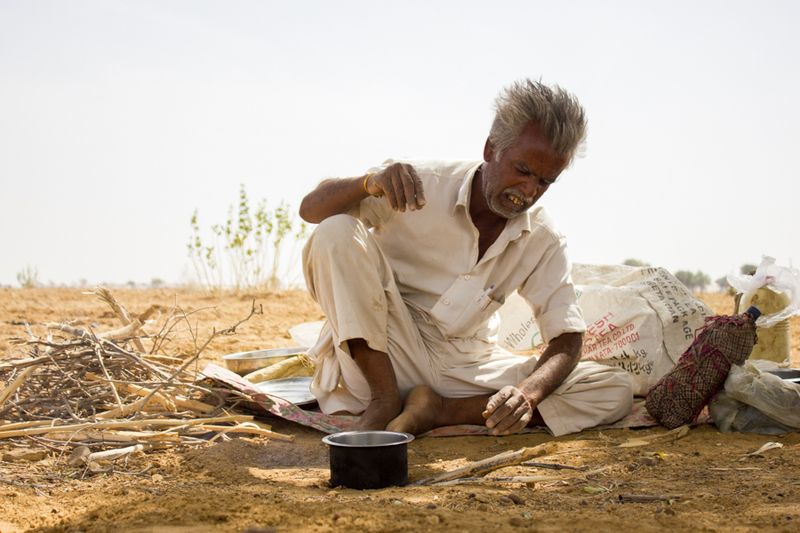 Forever when I make these veggie curries I will also remember the Thar Desert. The desert can be an unforgiving place, oftentimes so windy we were forced to dig a hole in the ground to protect our fire from the wind. A saucepan was then set atop a bridge of sticks, and we were back on. 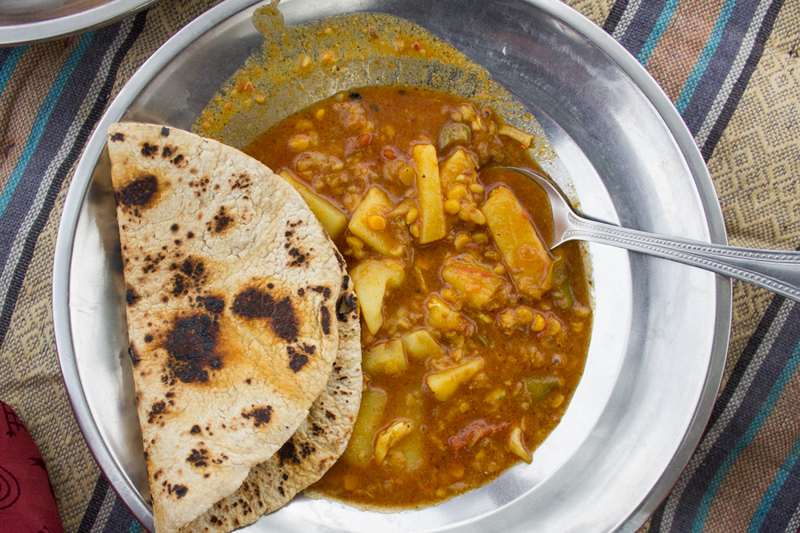 Obviously, every meal was complete with chapati. 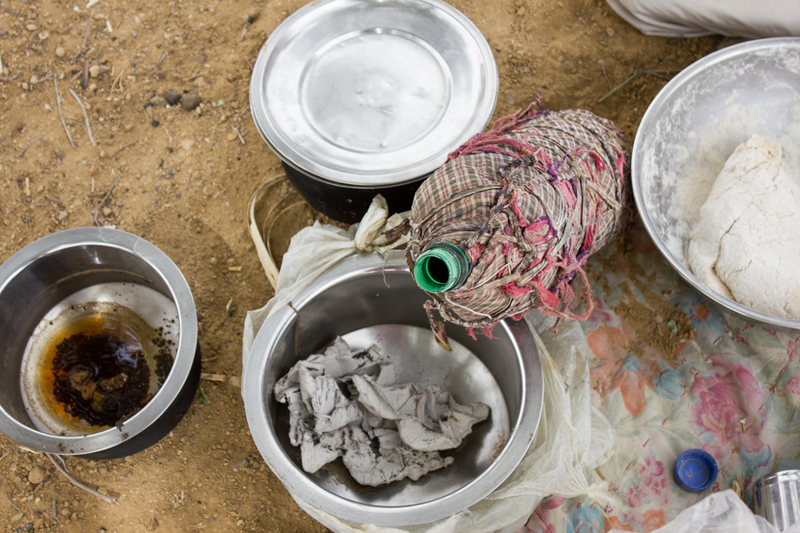 All of our cooking utensils were lightweight and easily stacked to make for easier carrying and transporting across the desert. Heat oil. Add chili and shallot. Saute until shallot is soft, about 3 minutes. Add all remaining ingredients, covering with lid and bringing to medium-high heat to cook. 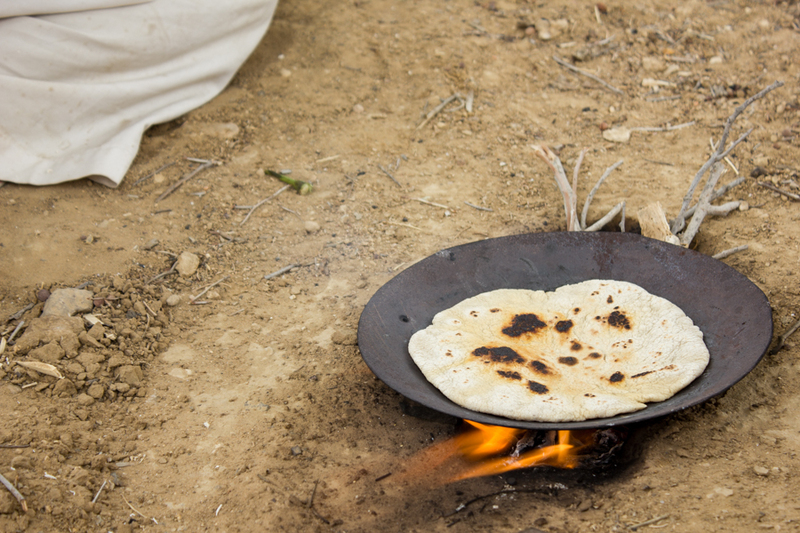 Cooking time varies if you are in the middle of the desert, but it took us roughly 20 minutes.